Ajiro Marquetry, composed mostly of rapidly renewable natural materials, is an environmentally responsible product offering an attractive alternative to other surfacing materials. The wallcovering consists of a single type of wood with a natural finish. The pattern is a scrolling foliate design against a checkerboard background. To increase visual interest and to make the pattern more legible the grain on each adjacent cube is rotated 90 degrees. The use of wood veneer as a wallcovering is not a new idea– there are advertisements for them dating from the early 1930s. These early examples consisted of plain veneer surfaces which offered an economical way to obtain the look of paneled walls. 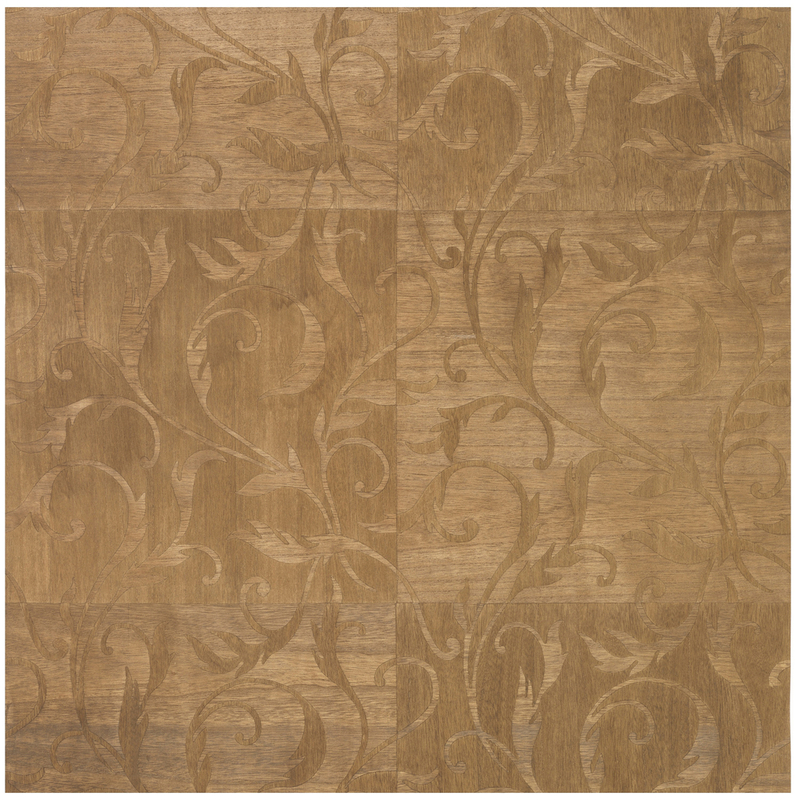 Ajiro Marquetry offers a more decorative solution and reflects the look of a traditional wallpaper design. This wallcovering is produced using environmentally sound practices and is free of heavy metals and formaldehyde. Paulownia is a very light, fine-grained, warp-resistant deciduous hardwood that has many uses in the fine and decorative arts. The wood is used for chests and boxes as well as the soundboards of stringed instruments. It is burned to make charcoal for sketching and powder for fireworks, and the bark is made into a dye. It can grow up to 20 feet per year and be harvested for timber in as little as five years. Once the trees are harvested, they regenerate from their existing root systems. All the wood used on these wallcoverings is farm raised.